Want to fine-tune your nutritional program or get to the bottom of troublesome symptoms? Health by Design provides access to a variety of lab tests, along with detailed analysis of the results and what they mean for your health. Whether you’ve been struggling with symptoms that don’t point to a specific problem or want to maximize your health and vitality, the information we gather through lab testing can be invaluable. Schedule a consultation to find out more about lab testing for food sensitivities, micronutrient testing, hair mineral analysis, functional adrenal stress profile, thyroid panel, cholesterol, glucose, kidney and liver function, and many more. We see clients every day suffering from the inflammatory effects of food and food-chemical sensitivities. Food-induced inflammation is so relevant to the health of so many, that its importance cannot be overstated. We know through our experience with tens of thousands of food sensitive clients that even so called "anti-inflammatory" foods, such as salmon, blueberries, parsley, garlic, lettuce, even turmeric and ginger, and virtually every other "healthy" food can trigger inflammatory reactions that contribute to illness. Reactivity to gluten is just one potential part of the inflammatory puzzle. Despite all the immunologic and clinical complexities associated with food sensitivities, the scientific fact is that white blood cells are always involved in food-induced inflammatory reactions. It's the cytokines, prostaglandins, leukotrienes and other mediators released from various white cells that cause every negative effect you suffer. Through Oxford, the patented Mediator Release Test (MRT®:) delivers unparalleled information that no other blood test or approach provides. MRT®: is a functional assessment of the inflammatory response that takes into consideration the widest range of sensitivity mechanisms. 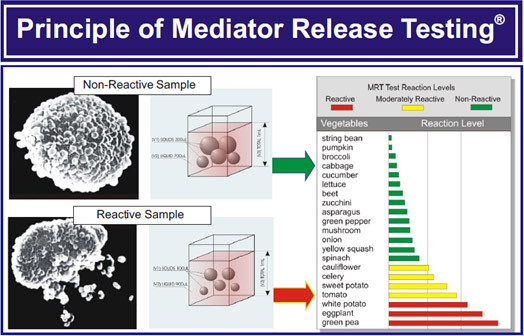 The most common blood test used to identify sensitive foods (ELISA IgG) can only detect one lesser kind of sensitivity reaction (Type 3, which covers only about 25% of food sensitivity reactions). In addition, IgG testing can't identify reactions to food-chemicals. The MRT accounts for both Type 3 and the more common Type 4 pathways, identifying reactions to food chemicals, translating to faster and more complete relief. Patented micronutrient tests by SpectraCell Laboratories measure the function of selected vitamins, minerals, antioxidants and other essential micronutrients within the white blood cells. The test components are reimbursable by most insurance carriers. Your hair contains all the minerals present in your body, including nutritional minerals as well as toxic heavy metals. Hair mineral analysis is a laboratory test that measures this mineral content in the hair, providing a vivid picture of your internal environment. 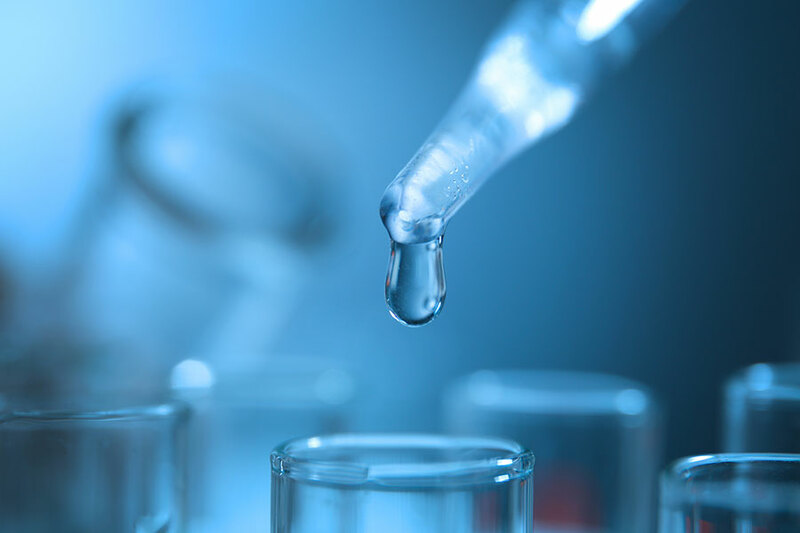 A saliva hormone test which includes cortisol, DHEA-S, estradiol, estriol, testosterone, melatonin and progesterone and evaluates the impact of chronic stress on endocrine function by measuring bioactive hormones. Digestive tract infections and inflammation must be analyzed to determine a patient's functional health status. This involves collection of a stool sample taken in the privacy of your home and shipped to a lab that uses advanced staining and antigen techniques to recover pathogens such as ova and parasites and antibodies to the antigens of Giardia lamblia, Cryptosporidium parvum, and Entamoeba histolytica. This test also screens for bacteria, fungi, yeasts, occult blood, Clostridium difficile: colitis toxins A & B, and H. pylori antigen. Ready to pave the way to better health and vitality? We use outside labs to perform all tests. Our services and products and the claims made have not been evaluated by the FDA and are not intended to diagnose, treat, cure, or prevent any disease.